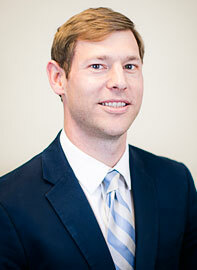 Will has an extensive healthcare management and regulatory background. Prior to joining Compass, he served a consultant with Premier, Inc., The Advisory Board Company, and other firms where he provided expert guidance for healthcare providers on issues ranging from accountable care organizations to certificate of need applications for new facility development. Will oversees various functions for Compass. He plays a key role in maintaining and establishing strategic relationships, creating additional value for existing and prospective partners, and improving operations within our ASCs.